Gold and Silver Flash Tattoos by Voodoo Tattoo Review + Giveaway! 100% SATISFACTION PROMISE // If for any reason you are not satisfied, let us know and we will get you another one shipped out free of charge! I thought these were a lot of fun! I'm 34 and a mom of two small boys, so I wouldn't normally wear these kind of things any more... Just feel like I'm a little to old, Lol! But, for the sake of this review, I did and I also asked my 17 year old niece to help me out. 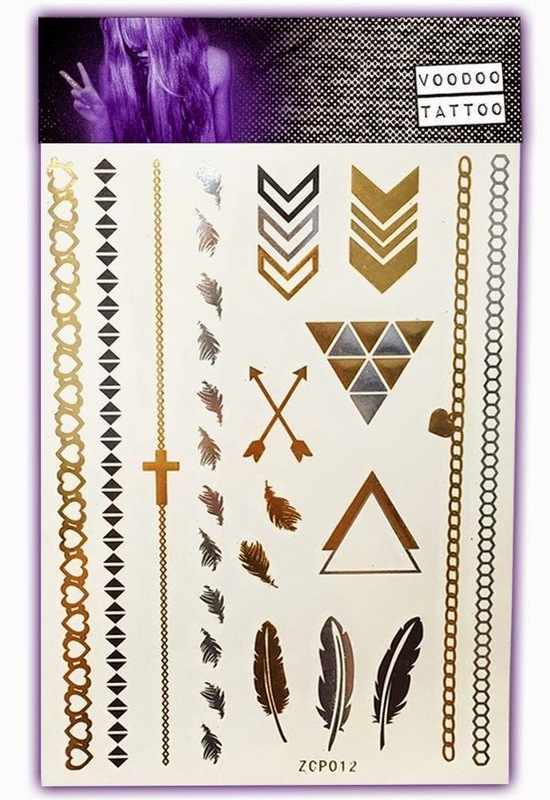 These are temporary tattoos, so I love that you can put these anywhere on your body like your wrist, arm, leg, etc. Many unique shapes, sizes and designs, so I was able to mix and match the tattoos however I liked. They're very easy to use and apply, just like any temporary tattoo I have used in the past. I noticed I did have to let them set and dry for a bit, otherwise the gold and silver metallic foil would rub off. Also, the black seem to last a little longer than the silver or gold. Overall, I liked them. My niece and I had a lot of fun trying them all out. If you're into these types of things and/or you're going out for a night of fun, you'll love these tattoos. They're a lot of fun and add a touch of shimmer and bling to whatever you're wearing. A great way to spice up any outfit for a great look! 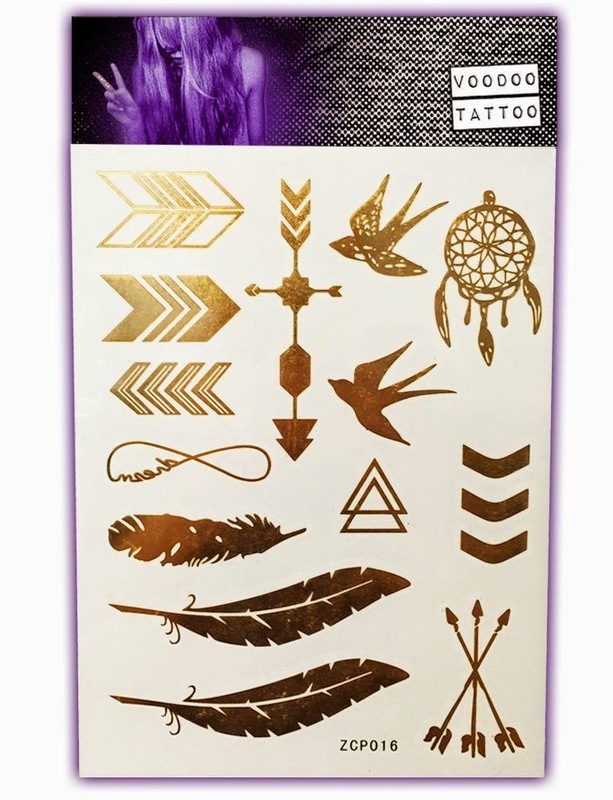 If you would like to try these out for yourself, you can purchase these Gold Temporary Tattoos + Silver and Black - by Voodoo Tattoo right now from Amazon! Enter the Gold and Silver Tattoos by Voodoo Tattoo Giveaway Below!